Statue of Unity : All you need to Know || Waste of Tax? The Statue of unity unveiled at Narmada district of Gujarat, India. It is the world's tallest statue, with a height of 182 metres or about two times as tall as the Statue of Liberty. The one who won over British leaders in the Satyagrah of Kheda and Bardoli, Sardar Vallabhbhai Patel was the Bismarck of Modern India, who led the welfare of farmers. He is renowned as the architect of independent India, as he united all diverse 562 princely states to build one great Republic of India. Shri Narendra Modi decided to pay Honourable tribute which will be cherished for centuries by the whole world and it will become a matter of pride for every Indian for this great man. Built in less than five years, it is the world’s tallest, grandest and giant statue. It is a tribute to the man who united India, Sardar Patel. Height of Statue: 182 metres (597 ft) - representing the 182 Assembly constituencies of Gujarat. taller than the 153 m tall Spring Temple Buddha in China and almost twice as tall as the world famous Statue of Liberty in New York. The statue is 100 times larger than a man of average height of about 5 to 5 and a half feet! Tribals and farmers in Gujarat are planning a mass protest as the lack of adequate rehabilitation and water shortages in the area due to the unveiling of the statue. Statue of unity might not be economically feasible in generating the revenue form tourism. The people's money that could have been saved. The project was heavily overspent, comparing the spring Buddha temple which costs around $55M and 128 meters high, The statue of unity costs over $400M at 182 meters high. even the inflation amount would have been about $100M. The economic viability of Mumbai Ahmedabad bullet Train cant be explained, and so do for this project. Looks just like a lucrative gift to RSS and BJP. 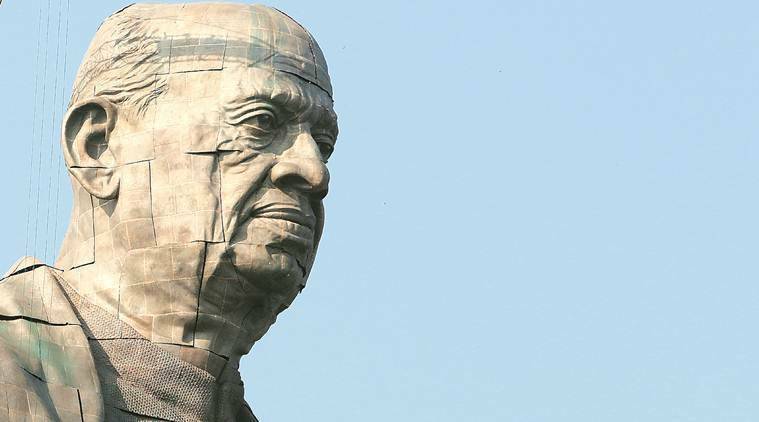 The government could have made IT parks, skill centres in the name of Patel instead of making the tallest statue in the world, which is not attractive at all, just an enlarged version of basic statue. thRadical :Short notes for Competitive exams: Statue of Unity : All you need to Know || Waste of Tax?